Living in the city comes with its own perks and drawbacks. As much as we love the facilities of the urban life, we somewhere, may be, would love the country lifestyle. So, what do you do when you have limited land, but you want to take up gardening really bad? Well, you can always try container gardening. It is one of the most flexible gardening options. Picking the right kind of pots, getting the right potting mix, and of course, selecting the right plants are the only things you will need to add just the right touch to a boring corner. You need not have huge storage space, but you can still grow a plethora of flowers, herbs and vegetables. Did the idea excite you? Read on to enlighten yourself! 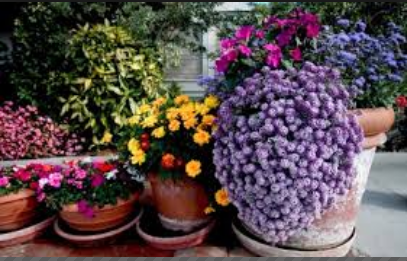 * Where can you plant: A small patio, a veranda, etc are standard ideas for indoor gardening. You can give it a try to new and innovative concepts like framing a door, or a window; append hang-on pots with lots of colours besides the aisle, and the like. These are some of the ideal ways to anchor a corner, or you can simply set several different sized pots together. Selecting the apt plant for the location is in all probability the most vital component. For instance, shade-loving plants will be better off in a sheltered spot and the ones that require a lot of sun should be outside the house. 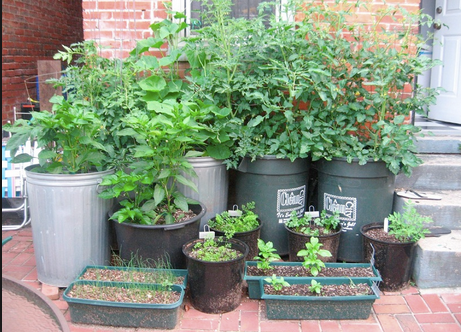 * What should you use: Container gardening is all about making the best use of the containers you would either have dumped or given away for recycling. These can be made of plastic, wood; concrete, iron, or even metal would do as long as it does not have any toxic materials residing on it. You can choose the shape, size, and colour of your box as long as it holds water and soil and has proper drainage. I have seen people use garden carts, wagons, drums, iron tubs, tin pails, watering cans and so many other things. They are attractive and can be placed even if the storage space is less. * How should you plant: As mentioned earlier, correct soil is the key to a flourishing garden. Let not this worry you because selecting soil is not as difficult as you think. Simply visit one of the nurseries or any other home improvement stores and they will give you the right potting mix for your plants. The mixes are ideal to retain water. Nonetheless, you need to water them as often as possible to keep them green and healthy. But don’t overdo it else the plants may die. Along with this you may also consider feeding water-soluble fertilizers. They help to retain the nutrients and regenerate the soil. Thus, grow as many plants as possible and improve your overall well-being. And remember, with love and care your plants will surely blossom and be healthy all year round.